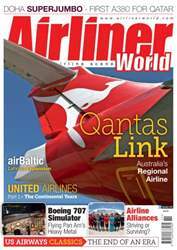 AEROFLOT HAS revealed plans to relaunch its recently grounded low-cost subsidiary Dobrolet (see Airliner World, October 2014). The carrier, which was the sole operator of flights between Moscow and Simferopol in the newly annexed Crimean peninsula, suspended operations at midnight on August 4 after it was placed on the EU blacklist. This formed part of a wider package of sanctions imposed by the EU on Russia for its continuing support of Ukrainian separatists and its alleged role in the loss of Malaysian Airlines flight MH17. According to Aeroflot CEO Vitaly Savelyev, Dobrolet is expected to undergo a major overhaul – believed to include a change of name – ahead of its re-launch and will initially fly to Ufa, Samara Kurumoch, Perm, and Volgograd. It was not immediately clear if it will resume flights to the disputed Crimea.